Whether you’re looking to host a Christmas luncheon, or a full holiday dinner, Angie’s in Waterloo has space for up to 60 people. The Angie’s difference is their home-cooked meals and their flexibility. They can accommodate full, sit-down meals, or buffet style and can even serve roasted turkey! They are fully licensed and are accepting reservations for holiday parties. Call them at 519-954-8500 to make a reservation. 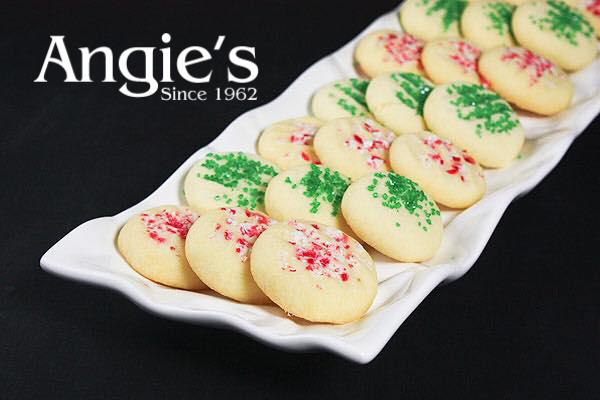 Plus, who can forget those famous Angie’s shortbread cookies? All proceeds raised from shortbread sales are donated to St. Mary’s Hospital in Kitchener.